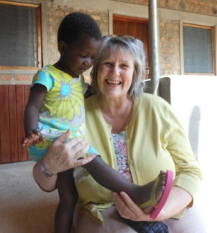 Following her years of experience visiting some of the poorest countries around the world, Georgina Varney (left) has created and developed a variety of global workshops to encourage children to explore the realities of daily life for many in our world. These interactive workshops allow the children to take part in a variety of activities that encourage them to see themselves as ‘global citizens’ with a responsibility to others around the world. Purpose of study: A high-quality geography education should inspire in pupils a curiosity and fascination about the world and its people that will remain with them for the rest of their lives. Teaching should equip pupils with knowledge about diverse places, people, resources and natural and human environments, together with a deeper understanding of the Earth’s key physical and human processes. - Where does chocolate come from? - How does it grow? - How many bars do we eat in a lifetime? All of these questions and more are covered in our new workshop. It touches on the history of Chocolate with a particular focus on Fairtrade farmers. During the session the children are able to take a close look at pods, beans, and taste-test Fairtrade dark and milk chocolate. There will be a variety of specialised chocolate available for those children who suffer from allergies. A worksheet accompanies the workshop to record facts and information. This workshop enables children to discover more about the many non-food products that carry the Fairtrade logo. It encourages the children to decide for themselves if buying Fairtrade goods is the right choice to make. There will be difficult questions to consider and work through, as some of the Fairtrade products are more expensive than similar products on the shelf. This challenging workshop looks at Fairtrade cotton, rubber, footballs, gold and flowers, and the people who are involved. In the Fairtrade workshop, we investigate products that can be found in our local shops and supermarkets and discover just how far they have travelled. Not all Fairtrade products are available in every shop. Are the number of products increasing or decreasing since the start of the production of Fairtrade goods? We follow the journey that Fairtrade tea takes to our shops. We will focus on how it is grown, harvested and produced, and the people who are involved in the process. Children are encouraged to become ‘Fairtrade Detectives’. We are pleased to offer two new ways of accessing our workshops for schools that we hope will be of help. Pick a mix your chosen workshops so that two different subjects can be running on the same day or half day. We hope these two options will give flexibility to teachers and an opportunity to offer our ‘Global’ workshops to a year group or class of children. Find out more about these workshops by clicking right or on the Workshops tab at the top of this page.